The Leeds City Region Supply Chain Programme which started in 2018 is working with businesses to improve their performance and associated supply chain activities. 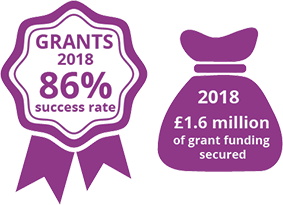 Small Medium Enterprises (SMEs) will receive a company review to develop a three-year action plan with the potential of grant support for implementation and referrals/access to other business support providers in both Leeds City Region LEP and national programmes, where applicable. The Leeds City Region Supply Chain Programme combines the commercial experience of a field team, access to academic knowledge and the University of Huddersfield’s Supply Chain Department. Support to develop new Supply Chain strategies and Sector Mapping. Connections with Large Enterprises (LEs) to develop new opportunities. A reduction in Supply Chain risk and an exploratory look at new market opportunities. Help to evaluate and integrate new technology systems, optimising processes and people performance. Help in the development of Supply Chains of LEs through securing SME provision, improving performance of current suppliers and finding alternative local suppliers. Introduction to 3rd party specialists to support implementation of key actions.